This soft knit top has a lace front panel that coordinates with the layered lace skirt #10967. Just a touch of spandex keeps this darling top in tip-top shape. 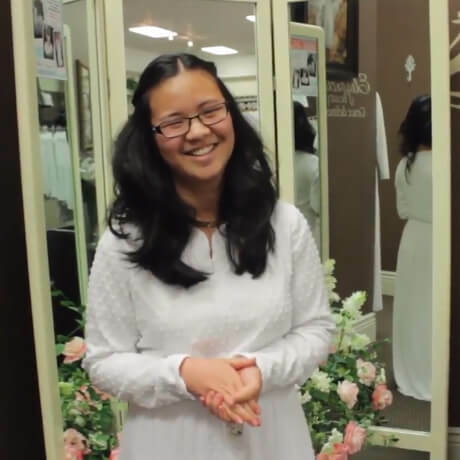 White Elegance customers love the contemporary look and add the top to White Elegance skirts for an updated look. 92% Polyester 8% Spandex. Style hint: super cute with jeans or black slacks. 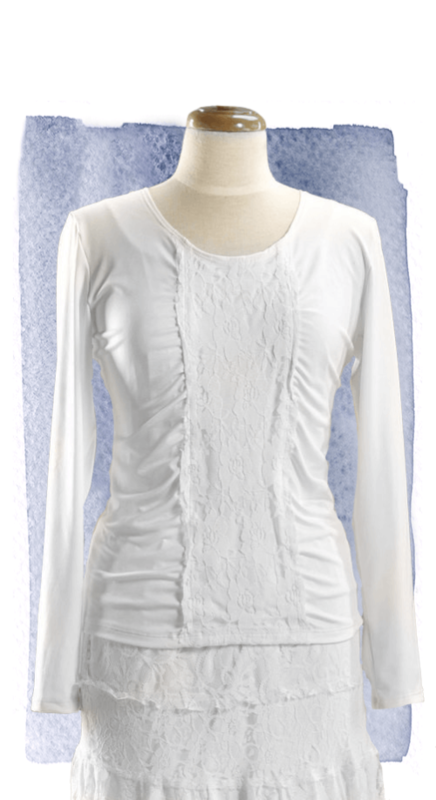 This soft knit top has a lace front panel that coordinates with the layered lace skirt #10967. Just a touch of spandex keeps this darling top in tip-top shape. 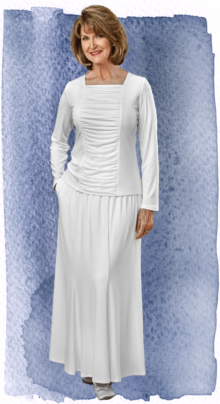 White Elegance customers love the contemporary look and add the top to White Elegance skirts for an updated look. Style hint: Super cute with jeans or black slacks. Bought this for my daughter who wears a size 12. I thought I better order a large. I should have followed the size chart because the Med. fit just great. I might keep the large for me because it is so different than everything else I see in the temple. I think it would be cute for church with a black skirt too. Beautiful. I Bought size small, my usual size, and it fits perfectly. 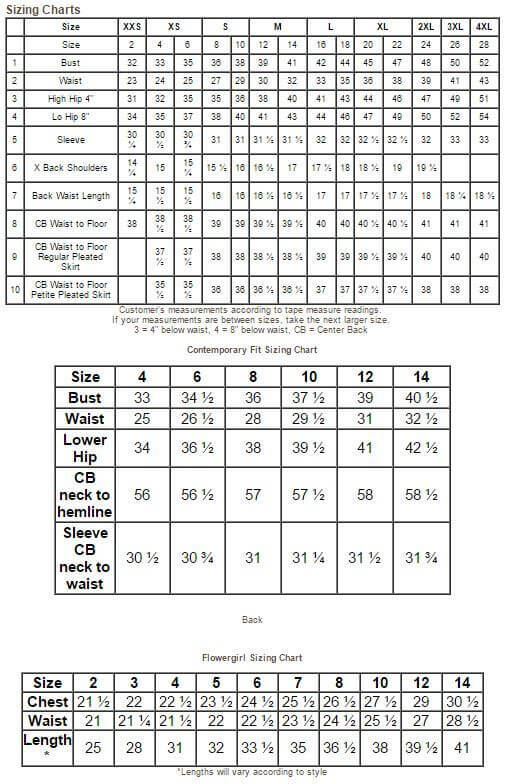 Went by the sizing chart and it fits me great! It’s a nice top. I needed something cooler to wear in the temple during these hot months we have. I only wish it would be a true 2X. Size. I wear a 2X and this is tight on me in the arms and shoulders. Could you add some larger sizes for us sisters that are on the larger side? 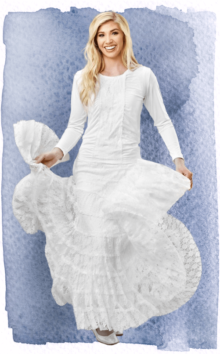 This beautiful, three-tiered skirt is one of White Elegance’s signature pieces. You will love the elegant drape, slimming fit and soft micro-fiber fabric that does not lose its pleats – even in the washer. Skirt slims and elongates every shape. Elastic waist. 100% Micro-crepe polyester. One side seam pocket. NO RETURNS OR EXCHANGES.